The GoPro App is available for free in the Apple App Store currently, and GoPro says Android users will see it soon too. GoPro's new mobile app is bound to open up some exciting scenarios for GoPro enthusiasts as it allows for remote control of GoPro cameras via a smartphone or tablet. Currently available for in the Apple App Store for free for iPhone, iPod touch and iPad with iOS 4.3 or later, GoPro, known for its action-sports-oriented wearable camera gear, says the app is coming to GooglePlay soon for Android users. 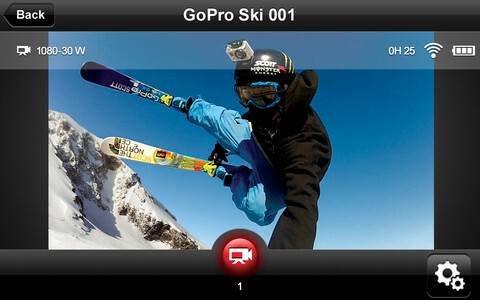 The GoPro App offers control of all camera settings and live mode preview and capture on your smartphone or tablet. It's compatible with GoPro's Wi-Fi enabled HD HERO2 cameras, though a free software update is required; the original HD HERO camera and older models aren't compatible. In addition to remote camera control, the GoPro App also displays the GoPro photo and video of the day. GoPro says app updates will enable streaming playback of videos and photos from the camera to a smart device, sharing of photo and video content from the camera to social networks, controlling of multiple cameras, and streaming live video from the camera to the web. 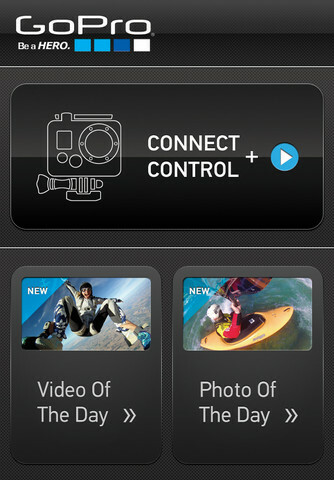 A tutorial video for the app is available from GoPro's website.